Many of us started out with film cameras, and we would get our photographs printed using one of the many available mail order printing services. We’d fill in our details on the back of the colourful dedicated envelope, enclose our films and drop in the nearest postbox. We would then wait for about a week (unless you paid for a faster service, or popped down the high street to somewhere like Boots), for an envelope to drop through the door, containing ‘our’ prints. Remember our excitement in opening this to review the images that we had taken. Nowadays this excitement has been lost, we can instantly see the image we have just taken on the rear screen of the camera, and many of images are just consigned to digital darkness, resting on our hard drives, or archived away on a faraway cloud. A few images we select for some form of social media, and upload a few lower resolution examples for friends, family and others to see. So why have we stopped printing, there is something lovely about having an image to hold and view, the tactile feel of the paper stock, the way the image changes as the light changes, its an experience! About 3 years ago, I decided that I should print more, bewildered by online printing services and the range of products and papers that they offered, I bought an A3 Photo Printer, a Canon Pro-100 to be precise, this was bundled with an X-rite colormunki calibration tool and some sample paper to get me going. I printed a few images, bought some more paper and some more ink cartridges and printed a few more. While I could get some ‘acceptable’ black and white images, I had numerous failures on colour printing, despite the image looking fine on screen, I struggled to get good results. In this process I started to use more and more ink and paper. Now as everyone knows running a printer can be a costly business, a set of cartridges was £80 and these didn’t seem to last two minutes. I started to give up, the printer just sat in the corner of my office gathering dust and other paraphernalia on top of it. I just worked on images on screen. 2018, and one of my new years resolutions was to ‘Print More’, so with some encouragement from my friend Amar (Amar Sood Photography), and the excellent YouTube videos of Nigel Danson, I set about printing ‘properly’. To print ‘properly’ you need to calibrate your monitor and then set up the colour management in your printer driver/printer to match the paper that you are going to use. The printer profile is very important as it will balance your on-screen colours with your printer inks, and deposit the right amount on the paper to get the correct saturation and vibrancy. This way what you see is what you get! I also made some other decisions, I have large monitors on my computer (dual 27” 4K monitors), and so printing small just wasn’t going to hack it, an A4 print just wasn’t going to be big enough, especially when held anywhere near my monitors, so I had to print big (A3), and I would need some decent paper, and from a manufacturer that offered some downloadable printer profiles for my printer to start with. From a lot of recommendations, I selected Fotospeed and purchased from their signature range A3 NST Bright White 315 and A3 Platinum Baryta 300. Now big prints means lots of ink, more research found that continuous ink systems didn’t work well with the Canon Pro-100 and that 3rd party inks could be very variable in colour matches. A very useful Youtube channel from Jose Rodriguez provided information that the refillable inks from OctoInkjet (in the UK) were indistinguishable from the original Canon colours, and at a small fraction of the cost. A couple of days later their starter kit was on my desk, this comprises of everything you need to refill your Canon Ink cartridges, including the necessary chip-resetting tool. Download ICC profiles from Fotospeed for my printer/paper combinations and install these profiles. In the Canon printer driver disable the colour matching, so it will print directly from Adobe Lightroom. Now Adobe Lightroom has an excellent print module, but even better than that, it has a ‘soft proof’ facility that enables you to make a proof copy (for printing) of your image. This proof can be based using the ICC printer/paper profile, so it shows on screen exactly what you are going to print (monitor must be calibrated), you then have the option of further adjusting in the develop module this proof copy to get exactly the printed result that you require. Straight away I got great prints, they looked like the image on the screen, colours were vibrant, blacks were black, and I just wanted to print more and more….RESULT!! 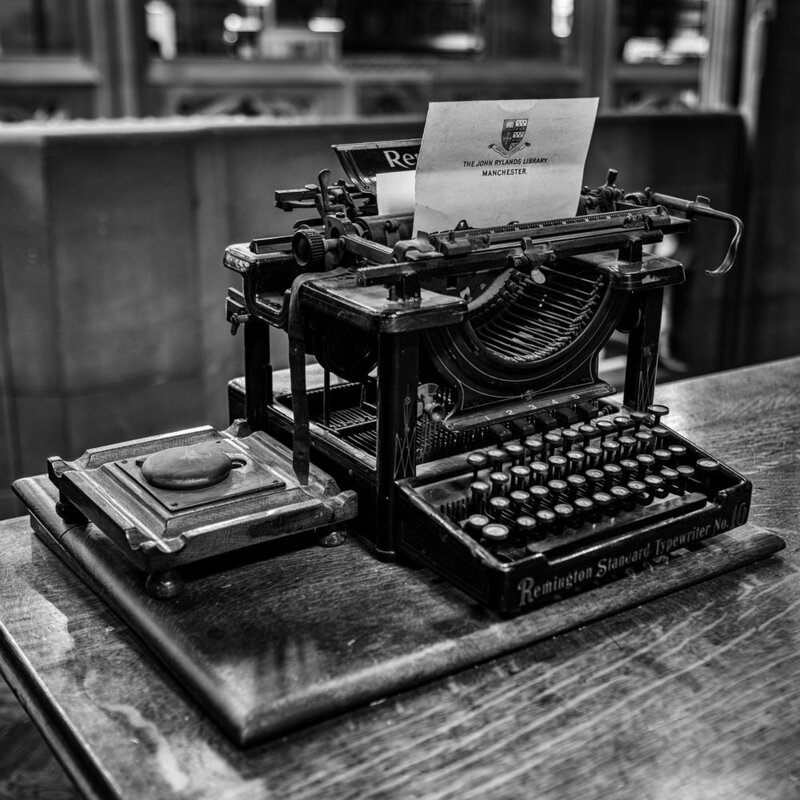 I was hooked, I now had control of my images from the viewfinder to a paper output. I’m sure that there will be hiccups to come, but I’m now very enthusiastic about printing, and have that excitement back. I have plans for the future, I want to try different papers, I want to frame more images and get them on the wall. I need to get a proper printer profile for the OctoInkjet inks (Fotospeed provide a free profiling service for anyone who buys their papers, so at some point in the near future I will get profiles sorted, but at present I still have Canon Ink in my printer). 6 years ago I bought a Fuji X100, this camera changed my life (yes, really! ), it sparked a real interest and passion for photography. It went everywhere with me, and for a year was the only camera that I took out the house. The tactile handling combined with a sublime image quality, allowed me to develop my skills, and harness an eye for composition. I proved that I could shoot just about anything with this fixed lens camera from portraits, street scenes, urban views, landscapes and even puffins (though I did have to sit very still and use a heavy crop!). I then embarked on the Fuji interchangeable lens route, starting with X-E1, progressing through X-E2, X-T1 to my current X-T2 (I also had a brief dalliance with a Canon 6D just to make sure Full Frame wasn’t the grail I was chasing). Lenses came and went as I tried different things, but all the time I harked back to the simplicity of the X100. This culminated in the acquisition of an X100F in the summer of 2017. Simplicity regained. Although I love my X-T2 and the versatility that it offers both in functionality and lenses, I simply adore the simplicity of the X100 series cameras. This ‘complication’ has, I believe, been to the detriment of creativity, I feel that I was much more creative when restricted to the X100, and although I’ve generated some great images with the X-T2, often with technical merit that ‘spark’ isn’t there. I’ve tried to reduce my lens count on the X-T2, down from a frankly ridiculous 11 to a more even 5, and now operate a one in one out policy, but still I have days where I feel the camera is getting in the way. I’ve always believed that your photographic journey is like climbing a staircase, you can spend time on one step before having a eureka moment and moving up a step. I feel I’ve climbed a number of technical steps but are now stuck on a creativity step. Its not that I can’t create good images, its originality that I crave, I want to forge my own path. Maybe it’s time to only take the X100F out of the house for a time. While running workshops, I'm often asked about which books do I recommend. I look for books that will inspire me to pick up my camera. Yes, I have a very technical side, and I love to understand how something was done, and sometimes I'll put that into practical use and go out and 'repeat' the shot, probably something in the male gene that satisfies the urge to collect! But more often than not, I looking for something that will enable me to see things differently. There are plenty of books out there which are purely technical, but lots of them are written like an alternative camera handbook, and can be quite dreary to wade through, that's if you can actually make it to the end! Unless you intersperse technical reading with practical experience then a lot of the information never sinks in. That's why photographic workshops are a good, you learn something new and get to put it into practice straight away. The way I look at books (and magazines) is that as long as either I've learnt something or it has inspired me to do something then its money well spent. 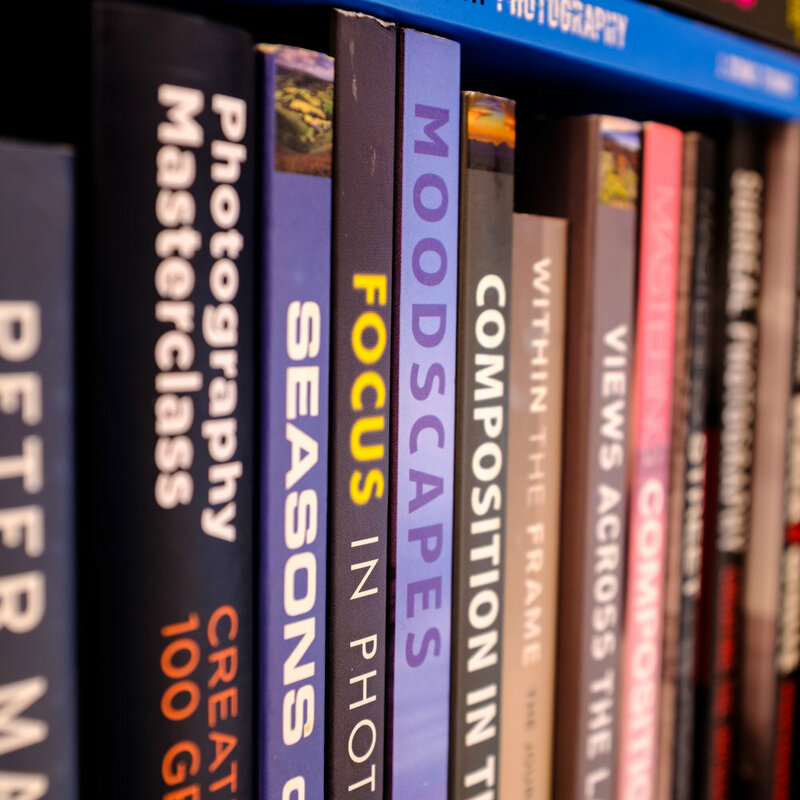 Here is a selection of the books that are currently amongst my favourites, these encompass some technical knowledge but most of all looking at the photographs makes me want to put the book down and plan my next photographic outing. Your Christmas List has just got longer!! The Essential Guide To Landscape Photography - (GMC Publications £10)- Available now in WH Smith (and other newsagents), this is a compendium publication from Outdoor Photography Magazine and is simply brilliant, a mixture of well written technical pieces and thought provoking articles, if there is one landscape photography publication on your 'buy' list then this should be it. I wouldn't even put it on your Christmas list; a) because its a magazine publication I have no idea how long it will be in the shops for, and b) its a tenner, just get it bought! Transient Light - Ian Cameron (PIP £17) - Ian Cameron is a less widely known Scottish landscape photographer, this book explains the importance of light within the landscape photograph, how to anticipate it, and how to capture it successfully. Throughout the book are inspirational images and useful Pro-Tips. A great book for picking up field techniques. Focus in Photography - John Neel (Ilex £20) - A book I wasn't expecting to buy, quite a technical book, it explains how lenses work, and how the positional focus within the frame effects the image. In very easy to understand terms it demonstrates lens effects and aberrations. It encourages you to experiment with new techniques. 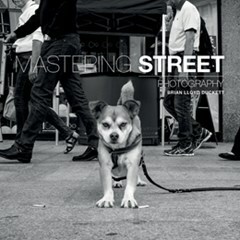 Mastering Street Photography - Brian Lloyd Duckett (Ammonite Press £20) - Don't think that this is a book just about street photography, its a book about photography, written in a very easy to understand style, Brian covers every aspect of shooting within our towns and cities, from equipment choice, safety and the law, through to how to understand the light, timing and conquering your fear of using the camera in busy places. 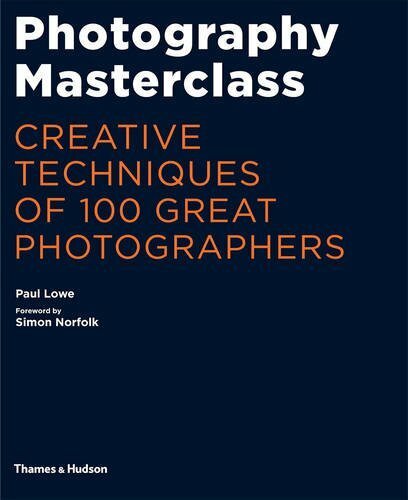 Photography Masterclass - Creative Techniques of 100 Great Photographers - Paul Lowe (Thames and Hudson £20) - Taking a 100photographers, this book, showcases an image, explaining the artists work, provides a short bio about the artist and then some creative tips on the techniques used, from light and composition through to camera. Not only does this inspire you to try new a style of shooting, but also opens your eyes to the works of slightly less well known photographers. Although you should form your own style of shooting, and look for originality, there is always something to be learnt from the masters. Within The Frame - David duChemin (Pearson £25) - A thought provoking book, this is more about what you do between shots, rather than the process of taking the shot. Although the technical side is covered, and there are some fantastic images, David takes us on a journey through his mind process, from planning, to understanding the environment, before presses the shutter. Too many of us, seesomething and get trigger happy, slowing down and understanding your location, can help inspire you to take that one good shot, rather than spray shooting and getting nothing worthwhile. I put this into practice recently, Liverpool Anglican Cathedral has until now been my photographic nemesis, but last week I decided to conquer this, I went to Liverpool, walked to the Cathedral (camera still in bag), and spent a hour or so wandering the cathedral, sitting and looking at the building, getting a feel for the place, understanding the fall of light, the vastness of the building. Then I set up my camera and took a handful of shots, many of which I'm really pleased with. 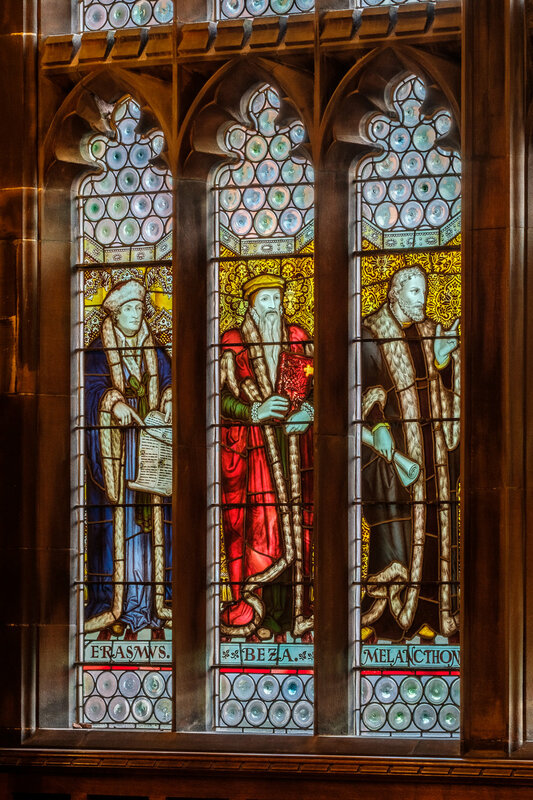 Started in 1889, and opened to the public in 1900, the John Rylands Library was founded by Enriqueta Rylands in memory of her husband. Housed in a striking gothic building in the middle of Manchester, it is currently part of the University Library. Recently they have been opening their doors again for dedicated photographic visits, these are for small groups, and allow access to the Reading Room and the Gallery (the latter is not normally open to the public). Better still these are free and tripods are allowed. 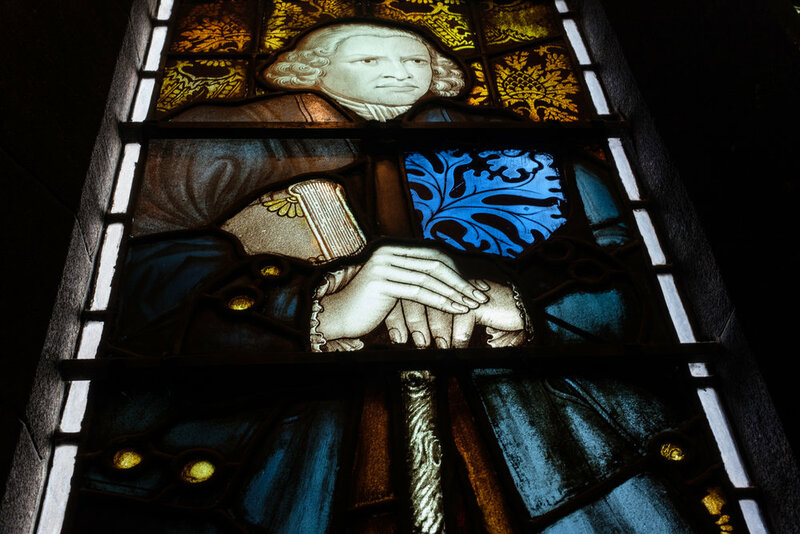 They can be booked through their events page at http://www.library.manchester.ac.uk/rylands/whats-on/ - look for 'Aperture'. Although short lasting only an hour, they are well worth it. Very challenging to photograph, the extremes of light levels from the internal lighting and light shining through the glass windows to very dark alcoves and passageways, mean that creative techniques have to be used. Using an Fuji X-T2, XF23 F1.4 and XF90, I often resorted to taking a number of bracketed shots, and then processing with some gentle HDR techniques to maintain the dynamic range in the image. Even then I blew the highlights on many of my shots through the clear glass areas on the large windows. And the window details were incredible, normal public access just doesn't get you up close to these truly amazing works of art. We visit the library as part of the Manchester Urbanscapes workshop, but when we do, its often quite busy and tripods are not allowed. So if you want a unique photography experience, book yourself on one of their events. An overlooked accessory, straps are a very personal thing, making your camera comfortable on your body, improves your photography experience. A strap that is comfortable for one person, may not be for another. The manufacturer straps that come supplied with a camera, are often short, and loudly branded. A short strap only allows the camera to be worn one way, round your neck and in front of you, often bouncing uncomfortably, as you walk and usually not at a comfortable height for resting one hand on. Branded straps, shout look at me, I’ve got an expensive camera, and instantly mark you out as a tourist!! I prefer longer straps, and often wear them in a cross over style, so the camera is to the side of me, but with enough strap length so the camera can be easily brought up to my eye. There are times when I might wear the camera in front of me, for instance for candid street photography, but again I find a longer strap length more comfortable to rest by hand on. Straps are available with detachable connectors or as permanently fixed to the camera body, the former allows one strap to be used with different camera bodies. 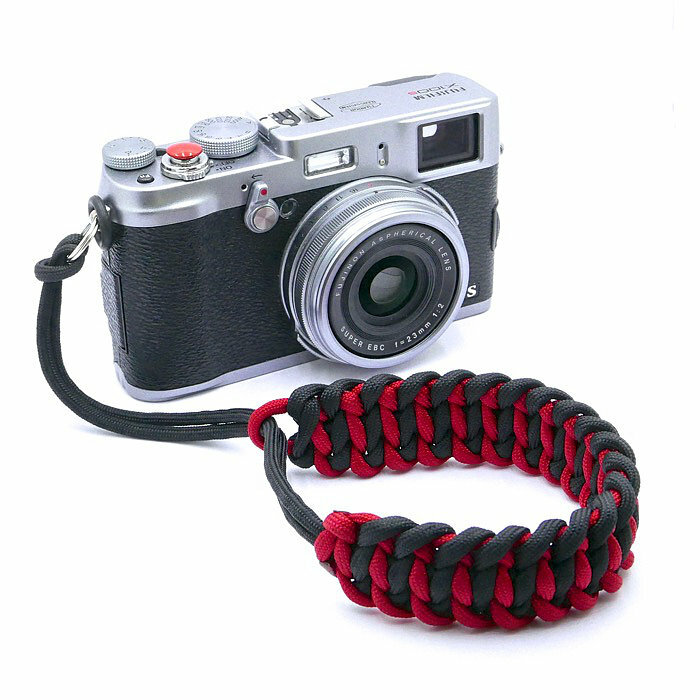 Wrist straps are becoming increasing popular, especially for lightweight mirrorless cameras. I often have a wrist strap and detachable connectors fitted to a camera body, so that it can be carried either way, I also like the wrist straps that tighten around your wrist on a lasso type arrangement, this enables you to ‘drop’ the camera safely to have free access to your hand. The quality of a strap is very important, you do not want it to break, sending your expensive camera equipment to the ground. Personally I would only buy reputable brands, and I would always check out the online reviews. For my stealth black X100F, a custom length (130cm long) 1901 Fotografi Steichen Leather Strap in Stereo Black (www.1901fotografi.co.uk – direct sales), not only does this look the part, it is beautifully made (and smells lovely!) 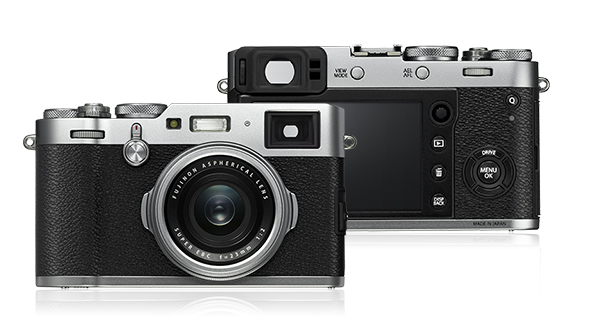 and suits the rangefinder style of the X100 series. I went for a fixed length strap as I felt the buckle of the variable length straps made an awkward join, and the extra bling of the buckle would make the camera stand out more. All of my other camera bodies are fitted with Cordweaver Wrist Straps (www.cordweaver.co.uk – direct and ebay sales), these are very cost effective, well made and very strong. I have different coloured ones for different camera bodies, making it easy to pick up the right camera first time! They are also fitted with Optech detachable connectors and I have a padded Optech strap (www.optechusa.com – many UK bricks and mortar camera stores), this strap has a wide padded neck part and is very comfortable to wear all day with a large neoprene shoulder pad, and can be adjusted to be worn in crossover style and in front style. A number of my photography friends and acquaintances, use either the Peak Design System (www.peakdesign.com) – a clever disc type detachable system (incidentally Cordweaver offer compatible wrist straps) or the Black Rapid system (www.blackrapid.com), though to be on the safe side I would always recommend that a safety strap is used in addition to any strap that only attaches to the tripod mount. The safety strap provides an additional loop to one of the normal strap pickup points. I use my tripod a lot, so don’t like straps that attach to the tripod mount, since they would slow down the operation of mounting the camera on the tripod, I also prefer the back of the camera against my body rather than the camera hanging down, but for regular users of long lenses it is a good solution. One of the first purchased accessories, and essential for landscape and low-light photography, there is a bewildering array of available tripods from £20 to well over £1,000. The general rule is:- Stability, lightweight or low cost, you can have any two from the three! A decent stable lightweight tripod will be expensive and a cheap tripod will either be heavy or not very stable! Then along with thinking about the tripod legs, you need to think about what type of tripod head you want, and the type of fixing plate to the camera. As I said, it can be bewildering……..
On the whole you get what you pay for, so the more you spend, the better quality tripod you will get. And don’t be tight! The tripod is the piece of equipment that stops your expensive camera and lens from crashing to the ground, a cheap Chinese plastic tripod might have seemed like a bargain but would you really put £2,000 worth of camera kit on top of it. How are you going to use the tripod? If it’s for a telescope at home then it’s weight won’t really matter, but if you are hiking up mountains then every extra kilogramme counts. Equally it’s folded size will matter, some only fold to 60-80cm, others will fold down to less than 35cm. Do you want it to fit in your backpack or on your backpack? Dismissing cheap plastic tripods (as you really aren’t going to use one of those, are you? ), then the choice is Aluminium or Carbon Fibre, one is lighter than the other, but has a price premium. Check weights carefully though, as for many travel tripods the Carbon Fibre version might only be a couple of hundred grams heavier than the Carbon Fibre one, yet might carry a price premium of £50-£100 or more. How high do you want to be able to raise the tripod, and how important is stability at full height. Generally the thicker the tubular sections of the tripod are the more stable it will be, especially at height. For best stability have a tripod either without a centre section or don’t raise the centre section. Thicker tubular sections often carry a weight penalty, and as we know from above light weight costs. Also the less sections that you have the more stable it will be (and the faster it will be in use), but the penalty will be folded size. Consideration also needs to be given to the weight of the equipment that you will be putting on the tripod, a mirrorless camera with a landscape lens, has a different weight criteria to a wildlife photographer with a heavy DSLR and 500mm lens. Another consideration is the type and quality of the leg locks, take care of selecting the right type, some don’t like the lever clip style locks, others don’t like the rotational locks. The quality of the locks is also important, poorly made and your tripod may collapse in use. Lower cost tripods tend to have a fixed, Pan-Tilt or Ball head, as you progress up the food chain, you can select the type of head that you require to fit to a given set of legs. Often these are interchangeable between manufacturers, as they tend to have standard fittings. Ball Head – A Ball and Socket joint, a simple control, sometimes difficult to align as all axes move when the ball is loosened, but conversely they can be fast in operation. More expensive Ball Heads allow a pan-rotation of the whole assembly. Pan-Tilt Head – allow independent rotation of the camera around 2 or 3 axes, using locking lever arms. A typical entry level head, bulkier than the ball head, and not as fast to operate but popular with video use with fluid versions. Geared Head – The Landscape or Macro photographer’s dream head, allows minute adjustment of each axis, the penalty though is weight, these tend to be heavy in comparison, lightweight heads are available but they often have smaller payloads. Gimbal Heads – designed for long telephoto lenses, excelling at fast motion tracking, the Wildlife photographers friend. Panoramic Heads - these enable the camera/lens to be rotated around the nodal point rather than a rotation around the fixing on the base of the camera, a specialist head. Most heads have a plate for attachment to the camera and then this plate clips into place on the tripod. Again metal plates will be better than plastic ones. If your tripod is for occasional use then these will be fine, but if you are a regular tripod user or have multiple camera bodies (and multiple tripods), then consideration should be given to a quick release place/grip type system. Arca-Swiss developed a quick release system based on dovetailed plates, these system has been widely copied, and plates/grips are available for most cameras either from the camera manufacturer or through third parties and many tripod heads are Arca compliant. I have several tripods, each has a different use, and I’ll explain my selection process here. Tabletop/Portable, sometimes when travelling you just need something stable to get that low-light or long exposure shot. A simple tabletop tripod (such as the Manfrotto Pixi), can be placed on the floor, a wall or even a table! I also have a couple of Joby Gorillarapods, which use flexible legs that can either be straightened to use like the Pixi or wrapped around railings, posts, etc to get a stable camera position. Travel Tripod, lightweight, compact, can fit into airline cabin luggage, can fit inside a medium sized rucksack. Doesn’t go very high, and certainly isn’t stable at height (not one for use on a windy day). I have a 3LT Punks Vyv (the aluminium version, not much heavier than the Carbon Fibre version - now replaced by the 3LT Corey), its fitted with an Arca compatible ball-head, I have Arca compatible plates for all my cameras. Main Tripod, I wanted something lightweight and stable, although its physical quite large, I wanted to be able to attach to the outside of the camera rucksack and still feel comfortable in the hills and on mountains. I wanted a fast compact head with an Arca compatible fitting. So I invested in a Manfrotto 055CXPRO3 (3 section carbon fibre) with MHX-Pro Ball Head with an Arca compatible quick release fitting (Q6 variant), I also added the spiked feet option, which enable either spikes or rubber to be used. This was not cheap, but it’s good value for the type of tripod that it is. Another reason for selecting the Manfrotto is that I prefer the level leg locks to the twist type. Is it overkill for my camera system, probably, but it is a superb stable platform, that isn’t too heavy to carry about. My previous main tripod was a 10 year old Aluminium 055 with a geared head, so heavy you wouldn’t want to take it more than 50m from the car! Tripods are very personal things, if you don’t get on with it you won’t use it, if it’s too big or heavy then you will be reluctant to take it from the house, if its just not stable enough then when you do take it to that windy hilltop, it won’t be any good, and again it will end up living in the corner of the garage! I would recommend going to a bricks and mortar store, they will have a selection of tripods, and if they don’t quite have what you are looking for then they can order it in. Try before you buy, you wouldn’t buy a car without going to see it, do the same with your tripod. Every now and again, a camera manufacturer makes a truly special lens, a holy grail lens, one that becomes in time - folklore. It isn’t a lens you use everyday, but whenever you do you realise that it’s something special. I’ve had the Fuji XF90mm for 18 months now, and I believe that it’s one of those lenses. It’s not the sharpest Fuji Prime I own (though it is close), it’s not the most flexible (due to the focal length) and it certainly isn’t the cheapest (typical UK street prices around £750), but it is special, very very special. Straight out the box, it was unlike any other Fuji prime I have owned, big and heavy (in Mirrorless APS-C terms! ), and it rattles when not in use on the camera body (due to the moveable magnets in the focussing system). The AF is fast and locks on quickly, the only time focus hunts is when you are trying to focus shorter than the minimum working distance. It will function as a macro lens and makes a good substitute for the XF60mm, but you need to add the MCEX-11 and 16 Extension Tubes. The Manual Focus works well, and the focus ring has a nice level of resistance. The lens is well built and offers weather sealing as well. With a 62mm filter ring size it offers compatibility with the other ‘premium’ Fuji primes. At 90mm on a crop sensor, it matches the full frame focal length of 135mm, giving you that classic mid-length telephoto look and perspective, generating sharp images with a soft blurred background. It’s the Image Quality, and the XF90mm delivers that in spades. It’s not just the sharpness or the out of focus bokeh, but the colour rendition, it just isn’t like any other Fuji prime. Bold colours just pop out at you, and the bokeh is blurred beautifully. Wide open at F2 it is just a joy to use, the shallow depth of field rendered beautifully, whilst the in-focus area is razor sharp. At smaller apertures it still delivers amazing images. As a portrait lens it is just spectacular, but generally I’m not a portrait shooter, I tend to shoot other stuff! Old slate quarries, building details, inanimate objects, and when the X-T2 was launched I spent a day shooting motorsport (again not something I often do, the XF90mm did not disappoint). It’s quite simply a stunning lens, I often feel privileged to own it, and if I could only have two XF primes, my bag would contain the XF23mm F1.4 and the XF90mm. Only the wrong clothes, a popular saying, but this equally applies to your camera equipment. 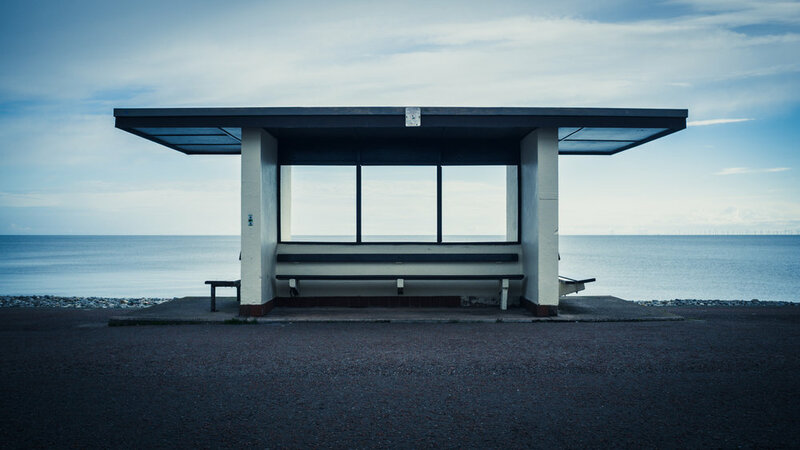 Outdoor photography is a quest for the perfect light, but since modern life gets in the way, we hardly ever have the time available when the light is at it’s best. So we have to adapt and work with what we have. 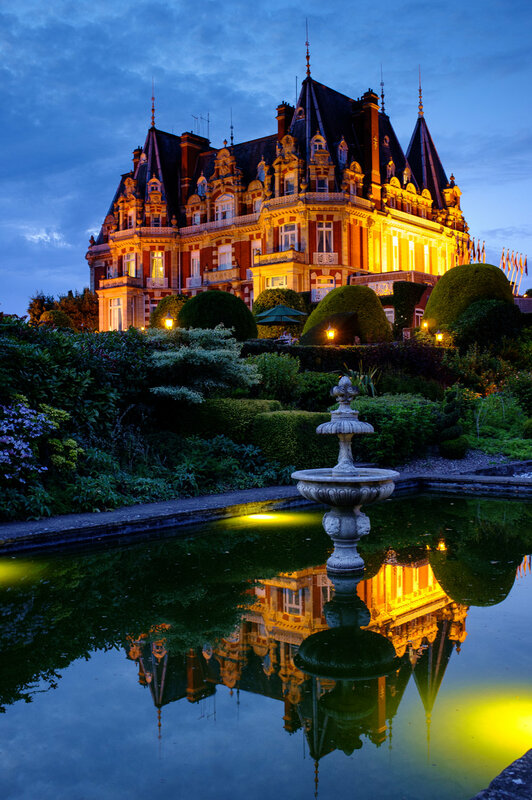 Some great shots can be taken in ‘poor’ weather, and if you are out there, then if the weather rapidly changes, which in the UK it often does, you are on the spot to take full advantage of it. The first priority though is still you, the right clothes for the environment is essential, if you are not comfortable (and dry) you will not perform at your best, the pictures you take will reflect this. It is better to take less camera equipment and have the right personal equipment, do you really need a bagful of lenses on this trip? You are unlikely to change lenses in harsh environments, ie on a windy beach or in dense fog, so consider just taking a single lens, you’ll be surprised how liberating this can be. The second priority is to be safe, it is better to fight another day, than endanger yourself or your equipment. Understand the implications of your environment and the weather, it’s easy to misjudge the path you are following in mist and fog, and a wrong turn can be catastrophic. Tides can move quickly, don’t get caught out especially if you can’t see the shore, rain and ice can make rocks very slippery, just use your head and take care. Follow the usual rules and let someone know where you are going. Be Safe! Weather Sealed and Weather Resistant are just that, they are not usually waterproof! They provide a seal against dust and moisture and are not intended to be used in torrential rain! If the weather forecast indicates a lot of rain, use a waterproof cover for the camera, commercial ones are available, some very cost effective, though a good strong plastic bag can be adapted if you are caught out. Umbrellas can be useful, but these are not good in strong winds, and often restrict camera operation to a single hand. Clamps are available to attach umbrellas to tripods but beware a decent gust of wind, the umbrella will act like a sail and take the whole lot over. Better to hold the umbrella over the tripod and operate the camera with one hand. Don’t think that weather proof only applies to cameras, most tripods are not salt resistant, so using them regularly in the sea can accelerate corrosion, causing an expensive failure at some point in the future. Lens Elements and Filters attract water droplets with ease, it’s amazing how much airborne water there is even a decent distance from a waterfall or in mist/fog, so suitable cleaning cloths are essential. A lens hood can be very helpful is keeping some of the worst of the weather away, and provides some protection against falls and knocks. But the upside is, that there are some amazing and unique photographs to be had, it’s likely that there will not be many people about so you can have the scenery to yourself. Often there is less dynamic range in the light, so your camera will capture the scene without blowing highlights or loosing shadows. Embrace the conditions and you will be rewarded. Last time I wrote about the new X100F, I still have an original X100, the camera that started me on my Fuji X series journey, it's been everywhere, up mountains, into caves, overseas, Scottish Islands, and I've shot just about every genre apart from sport, even wildlife - though the 23mm lens it required a lot of patience and sitting (and a heavy crop) still to bag some puffins!! Announced in 2010 and available from March 2011, the X100 is a 'quality' compact with fixed 23mm (35mm FF equivalent) F2.0 lens, its combination of optical and EVF viewfinders made it a unique proposition, although the EVF is not WYSWIG like the latest X series cameras. With a leaf shutter, its virtually silent in operation, making it very discreet. It was a revelation for my photography, a camera will 'proper' controls that produced great images, there is something 'special' about the images from the original 12MP Bayer Sensor, all later variants had versions of the Fuji X-Trans sensor. THe fixed lens really made me think about the shot I was about to take, the only zoom control I had was my feet! Using it today the camera feels very slow, Auto Focus is slow, acquiring the image after pressing the shutter is slow, and writing to the card is slow. But its just a lovely thing to use, a bit like a good classic car, its not fast, it's a bit clunky, but you'll love the ride. Today the camera is a bit of a secondhand bargain, with excellent examples changing hands at around £300, if you're in the market get one with a serial number that starts 21 or higher to avoid the sticky blade issue that affected some earlier models. The launch Of David Yeoman Photography is here, this blog will be regularly updated with both technical articles and photographic adventures. Bookmark this page to stay updated.